J: I was blown away by this book. Yes, it’s relentless and sensational in a tabloid sense but I couldn’t put it down. The history, the detail, the geography … I read it in three days flat and then again as an audio book for the RNIB. There’s a soft, sweet side to RK and without feeling manipulated at all by the author I was pretty much on his side from page one. Yes, he committed over 200 murders in a 20 year period, was a wife beater and all round violent human being, and yet – he was an altar boy and usher, sang in church on Sundays, went with his family to feed the ducks, raised three children, and was yer perfect neighbour in a New Jersey ‘Sopranos’ setting. He’d BBQ for everyone’s children at weekends and while visiting his own sick child in hospital, take presents for all the other children – on account of his not being able to abide their suffering. He never killed women or children, loathed rapists and never spoke to his brother again after he’d molested a 12 year old girl and thrown her off a rooftop, along with her dog. That he couldn’t abide! He did indeed have a curious moral code – never slept around or snorted coke like other Mafia guys, and always went home to his wife, who didn’t have a clue as to what he did. That’s the one fact I found hard to believe, but then again he had such a ferocious temper she knew better than to ask! M: I don’t think that being a church-goer is any guarantee of saintliness, or anything else for that matter – often it’s just good cover, but he certainly did seem to have compartmentalizing his life down to a fine art. It was rather like reading about two entirely different men. The mild-mannered Richard was appalled by his own ungovernable temper, but seemed powerless to control it – with the result that his family lived on a knife edge whenever he was in the house. And latterly – after he was caught and began looking at his own life – he was fascinated by his own lack of remorse about the men he killed and the way he killed them. Even with hindsight, he didn’t regret what he’d done. And speaking of the way he killed them – the book should come with a caveat that if you’re not fond of rats, you won’t get past the introduction. He was very creative in his use of rats. And sharks. I can’t say I was ever really ‘on his side’ … although I did admire the clinical professionalism with which he pursued his chosen career. He was always willing to learn, too – from his fellow professionals, from films and TV programmes … I like that in a man. And I do have to admit that at the end, when the proverbial net was closing around him, I realized I was actually sort of rooting for him, which was a bit of a peculiar sensation, to put it mildly. I had to say to myself, “Now wait a minute – this man was an ice cold killer who could have wiped out your husband and son without a blot on his conscience and then gone home to his family and his favourite meal of roast chicken …”. J: It all goes back to the sins of the parents being visited on the children, I’m sorry to say. You reap what you sow. Richard’s father, Stanley, had immigrated with his family to Jersey City from Warsaw in Poland at the age of 26. He loved to drink and fight. His mother Anna had immigrated from Ireland with her parents, who died very shortly after their arrival in America. She had been raised in the Sacred Heart Orphanage where the fear of God, Hell and Damnation was beaten into her. At the age of twelve, she was raped by a priest there. Richard and Anna lived in a cold water flat – the working poor blue collar cliché – struggling to put food on the table. When Stanley found out Anna wasn’t a virgin he beat her up like a rag doll, and that continued as the pattern of their lives. Stanley beat Richard’s brother Florian to death in one of his frequent drunken outbursts – in the days before ‘Social Services’. The family were sworn to secrecy and Richard began hating both his parents with a vengeance. Can you really blame him? He’d been badly bullied up til then, at school and in the neighbourhood, and the day he fought back and beat this one guy to death with a crow bar, it unleashed something within him so powerful that the Grim Reaper was born. The fact that Richard and his younger brother Joe were both locked up for life in Trenton State prison for murder speaks volumes about the parents, don’t you think? Philip Larkin’s famous poem springs to mind! M: I’m in two minds about that one. I mean yes, I can see that RK’s childhood-from-hell would have totally screwed him up – and it’s certainly telling that his brother went down the same road – but he wasn’t a stupid man. Far from it, in fact – he had a very sharp, analytical brain. He planned his murders meticulously, which is why he went almost entirely undetected for over 30 years. He could have applied that brain in other directions, but he didn’t. Other people have had appalling early lives and not turned into sociopathic monsters. It’s not entirely down to his Mum and Dad – is it? It’s plainly partly the way his brain was wired to begin with. Take one mis-firing young brain, add a decade and a half of physical and psychological abuse, and “Shazaam!”, you have a mass murderer … Hang on, I think I just argued myself in a circle there. I believe I just effectively made the point that it wasn’t really his fault, whichever way you approach it from. Rats. Well, I suppose we’re all part nature and part nurture (she said, grumbling to a halt …). J: For every Superman there’s a Lex Luthor. For every Spiderman there’s a Green Goblin. For every Richard Kuklinski there’s a Pat Kane. He even sounds like a character out of a comic book – Clark Kent?- doesn’t he? He was an Air Force veteran and like RK went to church every Sunday. And he loved his job, putting bad guys behind bars. He was on a mission from God to protect women and children from fang-toothed predators. He was stubborn and tenacious like a bulldog but did everything by the book! Even when the investigation into RK’s life was going wrong and the others around him thought he was reading more into it than there actually was, he never gave up. To work off his frustrations he beat on a heavy bag he set up in his basement, went for long arduous runs, becoming something of a Rocky Balboa obsessive. He was so concerned, knowing he was on to a dangerous serial killer who could come after him and his family at any time of the day or night, he took down the license plate numbers not only of all RK’s cars but also his family’s cars as well. He went through paranoid sleepless night and excessive drinking, putting his own marriage under great strain, but again – he never gave up. M: In fact, anyone who DID make up a cast of characters like it would be accused of over-egging the pudding – AND weak plotting, because no-one would ever believe that someone could get away with such prolific murder for so long without even being suspected. A lot of the time it was because he was killing people that no-one cared too much about, and didn’t mourn over. I mean, the Police weren’t going to exercise themselves too much over the deaths of drug dealers and other assorted low-life – but it was also because he was so very inventive – both in the way he killed and in the way he disposed of the evidence – the weapons and the bodies. He just made them vanish. The background colour on the Mafia was absolutely fascinating too … the world of ‘made men’ and the arcane and really quite ludicrous code of honour they live by. It’s very like the law of the playground, but with lethal consequences for anyone who doesn’t take it seriously. There’s more than a touch of the spoilt kid about a lot of them and I’m tempted to say that in many ways these are people who have grown old, but never grown up. That’s a wild over-simplification, of course … because we’re talking about a world where you solve a problem by killing it – which was certainly Kuklinski’s philosophy. It’s a good thing Pat Kane didn’t know just HOW close he came to being RK’s next victim. J: Yup – those paranoid sleepless nights weren’t so paranoid! If I’ve got a criticism of the book it’s that it’s pretty repetitive in places and concentrates too much on the sensational (ie: gory) aspects at the expense of what I found much more interesting – the complexity of the man himself, what made him tick, the people around him and the fact that he seemed to be content in prison, getting the attention he felt he deserved. Before RK died (under mysterious circumstances and very conveniently for Sammy Gravano, against whom he was about to testify, but that’s a whole other story) Carlo interviewed him at some length and must have got to know him pretty well, but we never really get any feel for what was going on in RK’s head. I’d like to see someone trying to unravel the knots in his brain – because we’re back with Magill and Rocky Raccoon again … he’s so many different people you can’t quite bring him into focus. I’d also like to know what all that British-English was doing in there, at least in the edition I was reading. I mean, what the hell was he doing in PETROL stations and putting bodies in the BOOT of a car? Philip Carlo was born and raised in Brooklyn, for crying out loud! And some of those gory aspects are REALLY gory … I know that sensationalism sells books, but I did feel there was a bit too much reveling in nastiness for its own sake – sort of “You think THAT was stomach-churning, try THIS!” I agree about it being repetitive, too … but Philip Carlo may have been a victim of his own undoubted story-telling abilities. It’s a big book and I, like you, read it in about three days flat. 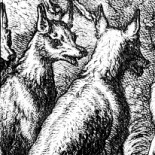 Under those circumstances you notice repetitions much more than you would if you read it more slowly – but they’re minor quibbles, really. The Ice Man is a real tour de force and highly recommended to anyone with a very strong stomach, a curiosity about sociopaths and a fondness for rats. Edition shown: Mainstream Publishing. 2008. ISBN-13: 978-1845963392. 528pp. Moira is English and well brought-up and therefore a Nice Person. Jay is an English-French bilingual American and also an actor and therefore Highly Suspect. Ooh, lovely – sounds just my sort of thing. Thank you for this. Great article! Just my sort of thing too, Anne. Excellent piece, Moira and Jay. When I was reading The Guv’Nor it was easy to detect a soft, sweet side to Lenny, which made it very difficult to be totally damning of the man, even though he was involved in some hideously violent fights. Always interested in those shades of grey, so I think I would read this, even if it is a bit heavy on the stomach-churning gore. Not sure what to say other than ‘very good review’. Not my kind of book, I don’t think, but RK does sound an interesting man full of contradiction and the sort of flaws that make for the best characters in fiction. A very good review! Sadly though, not one I’ll be reading. I think it’d give me nightmares as I’m quite squeamish and I can safely say I do NOT have a fondness for rats! This is NOT the sort of book I ever expected My Lady Disdain to be reading! It must be the company she keeps these days. But it IS a very good review, although I’m not about to rush out and buy the book. Rats? Sharks?!! I don’t think I want to pursue either of those lines of thought. It’s not the sort of book I would normally read, but given its subject matter I thought I probably should, so I found a cheap secondhand copy … and that was it, really. Doomed. It’s definitely not for the squeamish. I’m not particularly that way inclined, but parts of it even made ME squirm. But Kuklinski was a fascinatingly complex man, and given my weakness for complex men, I suppose it was inevitable I was going to be hooked by him and his story. HBO did 3 ‘specials’ on him which everyone can U-Tube. You’ll see how quiet and reflective and somewhat charming he can be. Not without humour. He’s definitely a homicide superstar in that sense. I’ve just been watching Vincent Cassel’s turn as Jaques Mesrine (another tour de force) and what I get watching and reading all these gangsters’ stories is that over and over again dangerous spells attractive. The reality of course is quite different and no doubt impossible to live with but for a chosen few the whole thing is almost sexual. After all, RK had 3 children with his wife. It was definitely something they shared, and she enjoyed the money and presents and fur coats that crime brought her way. That’s my one big question mark. How much did she know? More I suspect than she ever let on but still …. If Mickey Rourke really does have the film rights to his life and gets it made, he’ll become the Mick Jagger of the underworld and a box office hit to boot! 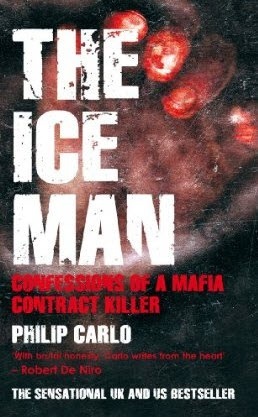 I have read both of Phillip Carlo’s books “the ice man” and “gaspipe” and i have come to the conclusion that its not just an abusive upbringing that decides whether people become a violent criminal or not. Anthony “gaspipe” casso killed just as remorselessly if not as prolifically as richard kuklinski but came from a loving family.I suppose my main point is that it takes your whole environment to influence you rather than just genetic or parenting. This entry was posted on January 8, 2010 by Jay in Entries by Jay, Non-fiction: biography, Uncategorized and tagged Genovese, made men, Mafia, New Jersey, Philip Carlo, Richard Kuklinski.